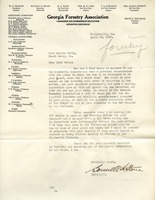 Berry thanks Errett of his donation of a subscription to American Forests and Forestry Life. 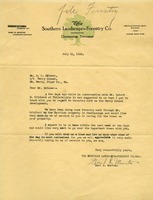 Hardtner, president of the Urania Lumber Company, asks Berry to write in support of the McSweeney-McNary forest research bill. 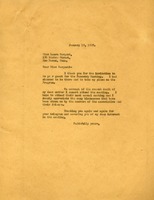 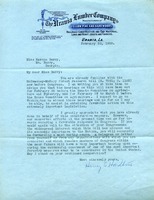 Holt writes to Berry to inform her of a famous pianist, Amy Marcy Cheney Beach, that will soon be arriving in Atlanta. 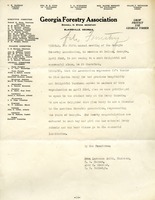 In interest of showing Beach the value that the South holds, and in promoting his fondness for the Berry Schools, Holt suggests that Berry reach out and invite Beach to visit the Schools during her trip to Atlanta. 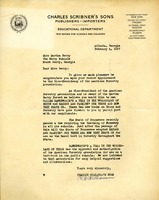 Karl R. Murton of Southern Landscape Forestry Co. offers his services in caring for the trees at the Berry Schools. 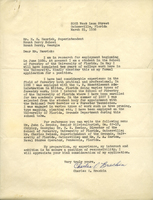 On behalf of Charles Scribner's Sons, Williamson congratulates Berry on her appointment to the Vice Presidency of the American Forestry Association and offers her copies of two new books. 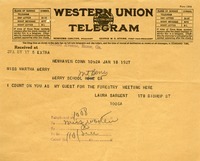 Miss Berry declines an invitation to the Forestry Meeting due to her mother's death. 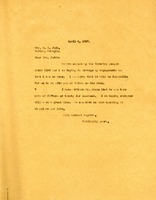 Miss Berry tells Mrs. Judd that she will be unable to visit her in Dalton, and that they can have 15 or 20 people at the luncheon. 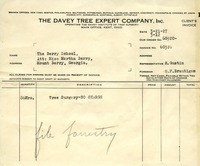 An invoice regarding tree surgery performed at no charge. 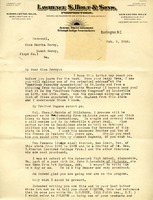 The secretary for the Georgia Forestry Association thanks Miss Berry for the warm welcome they received upon their visit. 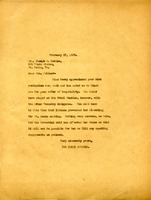 The secretary sends to the Berry Schools copies of the Forestry primer for teachers.